As part of the Middle School IT Programme, Grade 7 students have been learning about developing a business plan and thinking critically about what it takes to develop a start-up company and bring a new product to market. On December 18, the girls presented their business plans via 60-second pitches in video or audio formats to a panel of judges. The girls did an amazing job! 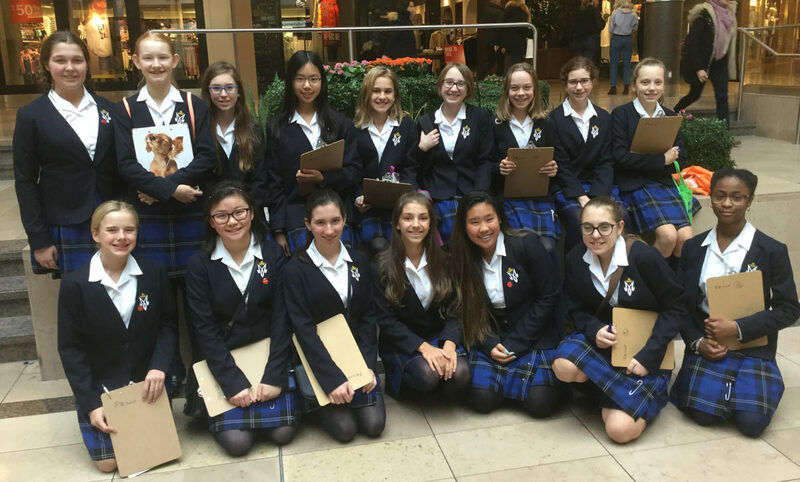 On Thursday January 24, the Grade 7 class travelled to Sherway Gardens Shopping Mall to conduct customer surveys related to their business plans. 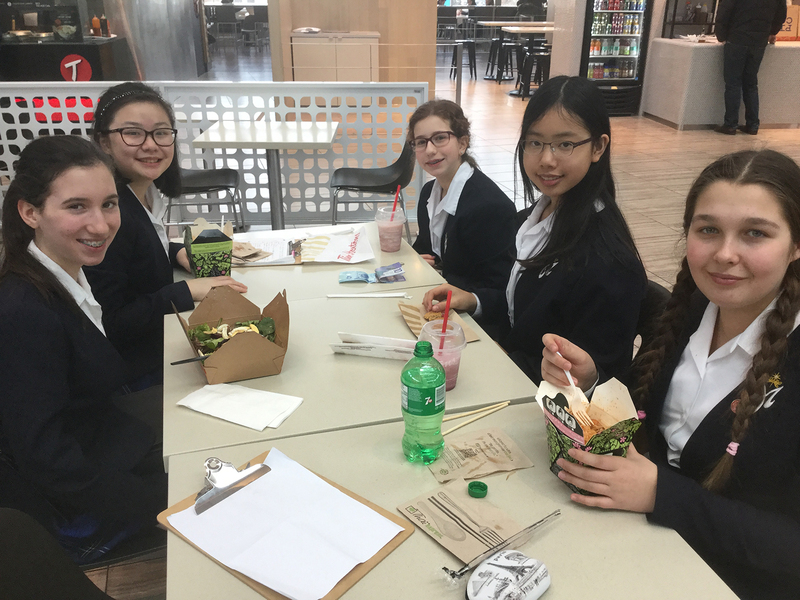 The girls confidently pitched their ideas to prospective buyers and gained insightful feedback about how their product could be improved and ways to further develop their ideas to make them more appealing to buyers. The Eco Club has been very busy the past few months preparing and implementing a number of initiatives. In November and December, the Eco Club hosted workshops on how to upcycle t-shirts to make totes and how to transform bottles into planters. We also planted new seedlings on our farm wall that were then harvested, bringing a great flavour profile to our cafeteria sandwiches. Our main event for the month of December was making beauty products. The girls made lip balm, hand cream, lip gloss necklaces and crocheted cotton pads. They had a great time working together. All the items were sold at the HNMCS’ annual Christmas concert. 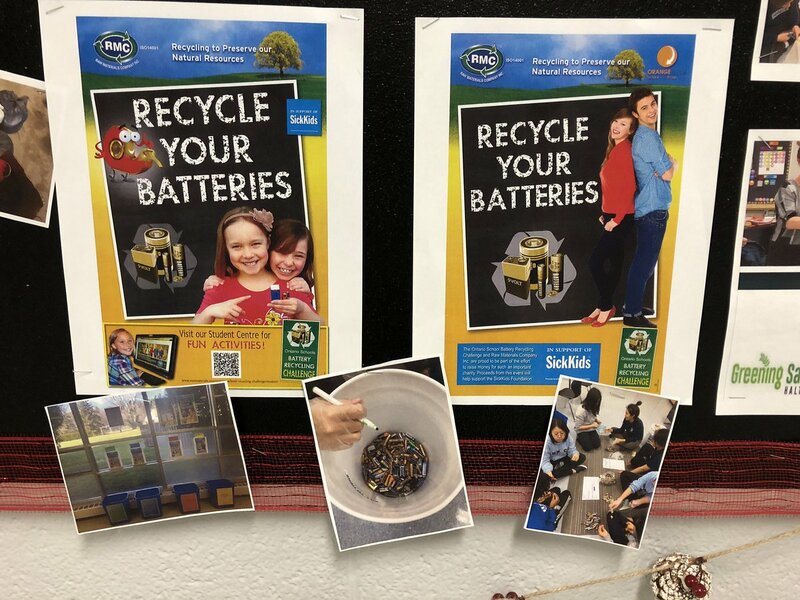 The Ontario Schools Battery Recycling Challenge is in full gear. Please make sure you send all your used batteries to school with your daughters. The campaign ends in April. in April. As of today, Electra is in the lead. So keep those batteries coming! Meet our new Energy Hog! At HNMCS, January is Energy conservation month so let’s everyone take part in turning off our lights and saving energy. As part of the Experienced EcoSchool Certification Cycle (EECC), we have submitted our initial Eco Review which consists of the Eco Team’s pledge and the Platinum yearly planner.